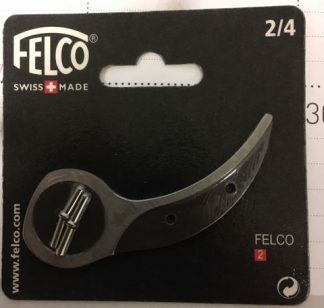 Felco Replacement Part 2/4 fits F-2 Hand Pruner. Includes 4 rivets. Felco Replacement Parts. Model # 2/4. Fits the Felco F-2 hand pruner. The famous strong steel anvil blade, attached with rivets and almost indestructible, rarely needs replacement. Four rivets (2-7) included. Replacement of this blade requires riveting.